CONGRATS ON NUUN! sooooo excited for you! You girls are going to have the time of your lives. Have a blast this weekend. Don't miss me too much. I'm there in spirit!!!!! Congratulations on NUUN!!! H2C is a fantastic race - we ran it last year. To train, once you know what legs you're running try simulating them 3 wks before the race. (ie, run the distances on similar terrain 9-13 hrs apart) It gives you a good idea of how your body will respond to the relay and what you might need to tweak. You guys are going to have such a great weekend. I know I'm missing out on the bloggy meetup of the year! But, Ali got invited to split time and play frosh AND JV in the tourny this weekend, so lots of basketball games on Saturday. congrats on being selected for the relay! have a great time this wknd, sounds like fun! congrats on the NUUN - seriously awesome!!! Woot woot on being a winner. Off to email you! Holy Macaroni! I was coming over to say congrats on making the Nuun team and I see my name. I'll get an e-mail off to you shortly. Have an awesome weekend. congrats on being chosen!!! You deserve it! Can't wait to hear how it goes! have a great weekend full of FUN! Way cool on the being selected to the NUNN H2C relay! Will be a blast. Enjoy the RnR weekend too! Congrats on Hood to Coast... You girls are going to have the best time. YAY!!! See you soon!!!! I can't wait!!! 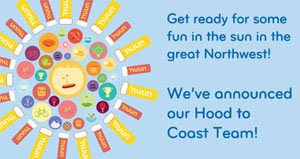 Nuun will be awesome! I can't wait to hear all about it!!!! I'm jealous of the Seattle party every year... next year I'm coming. Have a fantastic time with all the bloggy buddies... AND CONGRATS on the Nuun team. It's going to be amazing for you ladies that made the time... memory of a lifetime. Good luck tomorrow, Mel! And a big congrats for making the Nuun team! 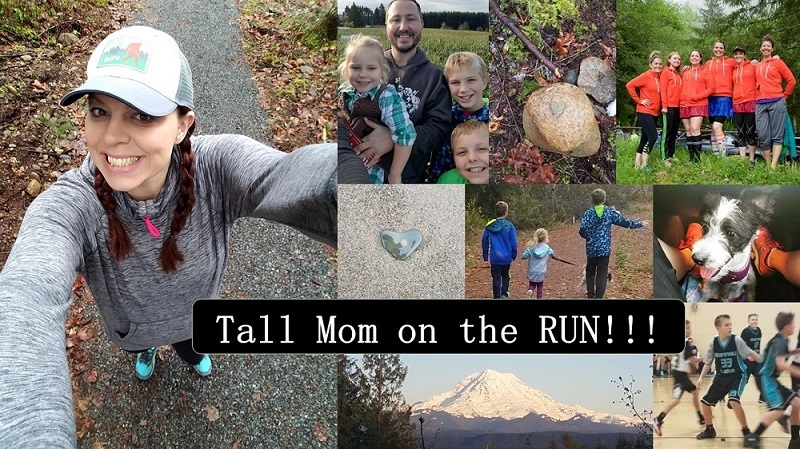 Congratulations on making the Nuun HTC team! I came close (chosen as an alternate)! Hope the Seattle RnR half is fun. I did the full last year, but I think if I do the race again, I'd choose to do the half. Mile 23 is a spirit breaker when you can see the Mile 26 sign down the offramp and the 1.5 mile out and back that you have to do before getting there at the same time. Congrats on making the NUUN team. That is so exciting. It will be fun to follow all of you on that adventure. Have a great weekend. Good luck! And have fun with all those awesome blogger girls. So glad i met the 'real' you today! Almost like meeting a celeb since i've stalked your site for months now :) Hope to see you in the section B at the end...or maybe on an out and back. Have a great run! I love newly washed, nice and crisp sheets!